Protecting you like you protect your family. Your free checking account should do more than just be free. A free digital education initiative to power your financial learning. Let us help you focus more on your business and less on banking. I recently became a new member of Inspire after they opened their Newtown location. This is one of the best local, full-service banks I have come across - its not often you are able to find a place that offers VERY competitive savings/checking rates, great insurance and mortgage products, and incredible customer service. Reach out to anyone from the bank and you will get an immediate response from a live and local person that really cares about helping you. My husband and I would like to take a moment to share with you our experience with Brian Phillips and the team at Inspire Federal Credit Union. From the very first phone call with Brian, we were handled with respect and professionalism. My husband and I have been thinking of possibly switching banks and building new business and personal relationships with a new bank and Brian’s name came to us from one of our family members and he encouraged us to give Brian a call. We are SO glad we did!! WOW what an experience on both a personal level as well as a professional level. The very first time we met in person, it felt like we had known Brian for years, it was more of a family-familiar atmosphere. We shared with Brian what we were looking to do between both business and personal strategies, and Brian was more than willing to see what he can do to make things work as well as save us $$. Well sure enough, things did work out and Inspire Federal Credit Union was able to save us $$. We have been members at the Credit Union since 2012. We like knowing that our money stays local and that Inspire supports community programs important to Bucks County! Working at Inspire has been a rewarding experience. I enjoy coming to work every day because everyone is friendly and upbeat! It makes for a fun working environment and it motivates us to work hard and provide the best service to our members. 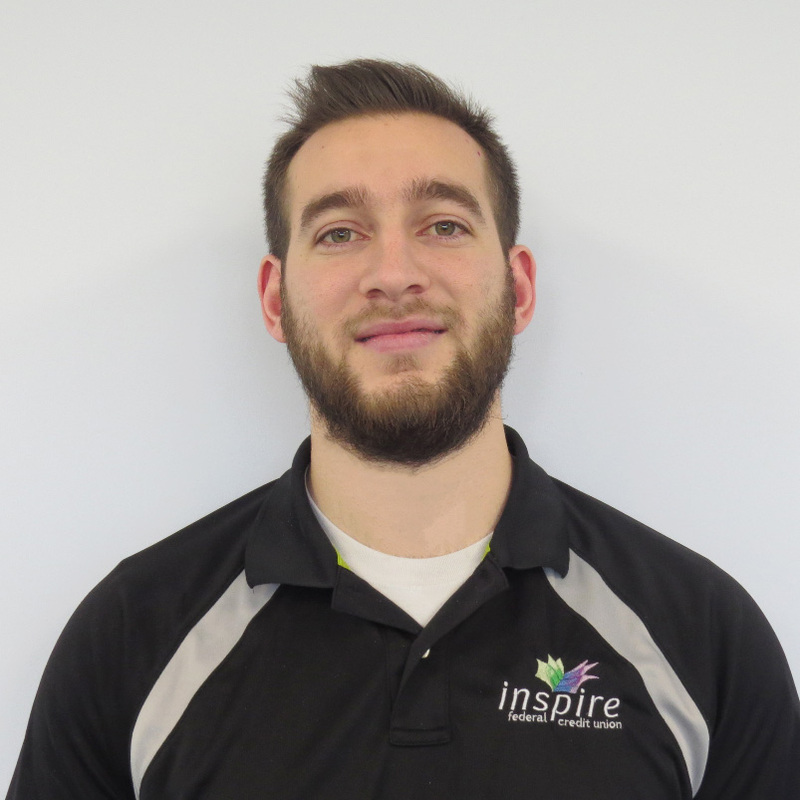 The moment I started working at Inspire I knew it would be a fun, positive and rewarding experience. Inspire sets themselves apart from any other financial institution by truly standing by their values and culture. The energy people bring everyday has really made working here a wonderful experience!